Toronto (ON), Canada — Zevrix Solutions today announces that InPreflight Pro is now available on the new and improved Adobe Exchange. InPreflight Pro is a document preparation solution for Adobe InDesign, which offers thorough quality control and batch file packaging. InPreflight Pro can be purchased from Adobe Exchange for US$99.95, as well as from Zevrix website and authorized resellers. Trial is also available for download. InPreflight requires macOS 10.7-10.13 and Adobe InDesign CS3-CC 2018. Zevrix Solutions announces InPreflight Pro 2.11.13, a compatibility update to its document preparation solution for Adobe InDesign. Described as “delightfully simple to use” by Macworld magazine, InPreflight is an all-in-one solution to check InDesign documents for errors, automatically collect multiple files for output and ship them to final destination. The new version makes InPreflight compatible with the recently released Mac OS X 10.10 Yosemite. 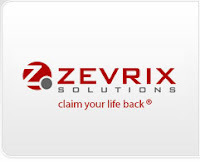 Toronto (ON), Canada (December 10, 2014) — Zevrix Solutions today announces the release of InPreflight 2.11.13, a compatibility update to its document preparation solution for Adobe InDesign. InPreflight is a powerful all-in-one solution to check InDesign documents, collect them for output and ship to final destination. InPreflight helps graphics and print professionals prevent costly mistakes by uncovering hidden problems, reduce production time and costs, as well as save disk space through smart batch-packaging. The new version makes InPreflight Pro compatible with the recently released Mac OS X 10.10 Yosemite and is offered as a free update to the licensed users. A number of user interface elements were updated to display properly across multiple OS X versions. InPreflight Pro provides a complete document preparation solution for printers, prepress shops, ad agencies and publishing houses. InPreflight Pro can package multiple InDesign jobs automatically with the option to collect all files into one folder. It eliminates the need to collect the same links multiple times for each design, saving users gigabytes of disk space and hours of production time. In addition, the collected jobs can be sent automatically over the Internet and locally. InPreflight quickly checks InDesign documents for common problems, as well as for hidden issues such as TIFF and EPS compression, embedded fonts and illegal link locations. Users can print graphic preflight reports and save them as PDF files. The reports can be set up interactively with the option to include a detailed paragraph styles report for typography professionals. InPreflight Pro can be purchased from Zevrix website for US$99.95 (Studio version: $39.95), as well as from authorized resellers. Trial version is available for download. The update is free for licensed users of version 2, and $50 from earlier versions. InPreflight is available for Mac OS X 10.5-10.10 and works with Adobe InDesign CS3-CC 2014.